MASKerade: CTS117 - Merci Beaucoup! I used an Impression Obsession sentiment that had a similar line thickness (this helps preserve unity in the design). Then I stamped the 3 dots from the Bold Blooms set a few times to pick up on the dot on the i. Love it! I don't think I'll ever have enough of Bold Blooms. In fact, I think I need that set myself! I love the stained glass feel. Beautiful work, Ardyth! Love this, Ardyth! It's a great take on that sketch and those colours look so pretty together. Love, love, love this! Keep the bold blooms coming...your cards are fabulous! Must add to the request to indeed keep them coming, Ardyth!! Thanks for sharing this beauty with CAS[E] this Sketch!! This is just gorgeous. Bold and cool and crisp. Just love The colours and boldness. So pretty Ardyth! The leaves look like little stained glass windows! I cannot get enough of your amazing Bold Blooms creations! This card is amazing! 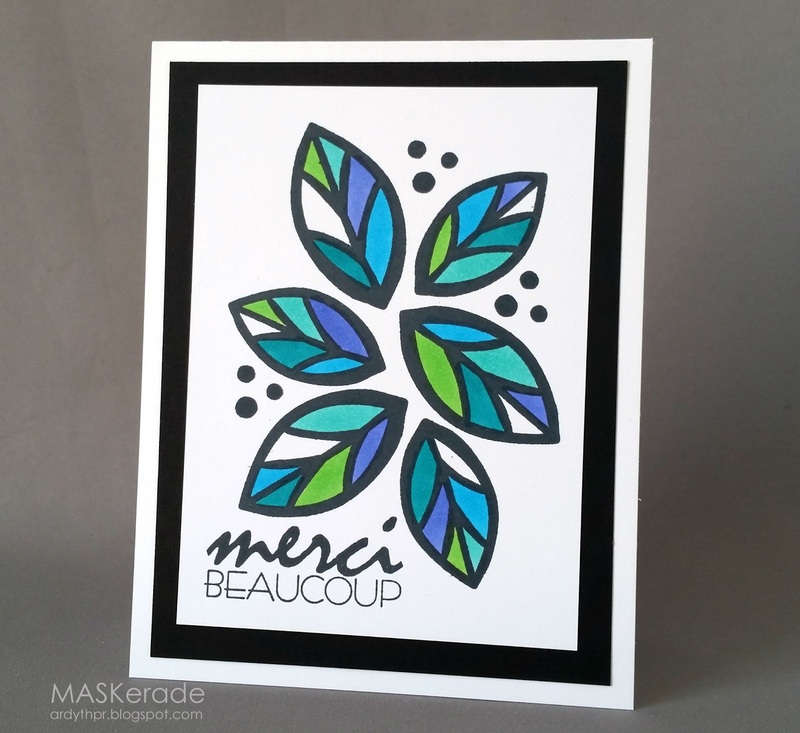 You nailed the Copic color selections - cool colors - cool design! Gorgeous card and between you and Tracey, you convinced me I need this set too. I will never tire of seeing your wonderful creations. 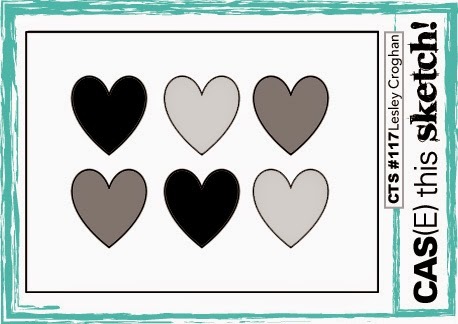 Your card is great - love the colors! Thanks pal! And congrats to you as well :) Sun is shining, it's relatively warm so I'm heading outside in about 5 minutes for a whole day of yard work! Yay - love it...spring is here! Congrats on this card being chosen as a CAS(E) this Sketch favorite Ardyth! You definitely deserve it! !